My new position took me more into the neighborhood and I also started visiting some people I knew in Cook County Jail. As a result, I started seeing more of what was really going on. I’d noticed so much already, but with this change, I started seeing and studying how enormous and shocking the disparity is. I saw firsthand how America’s infamous “war on drugs” and mass incarceration discriminates against people of color and those experiencing homelessness. My poor neighbors would get ticketed, arrested and locked up for the same things my richer neighbors would do, but they never saw cuffs or the back of a police car. Whether it’s smoking a blunt, sleeping in the park, urinating in an alley, carrying an open can of alcohol, smoking crack or simply riding a bike on the sidewalk, the disparity is huge and grossly unfair! I live in an extremely diverse neighborhood. It's gentrifying and everything's not equal. 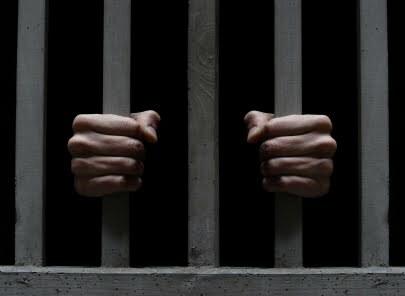 I sadly watch some people rotate in and out of jail regularly, while others do the same things, yet never ever experience this daunting traumatic reality! What increases the intensity of this disparity is how unfair and discriminatory the bond system is. A wealthy person can return home after being arrested for something violent because they can easily afford a large sum of money. Meanwhile, their poor neighbor gets arrested for a nonviolent offense, but because they can't afford to bond themselves out, they have to stay inside their cage because they can’t afford a mere pittance. It's grossly unfair, but to make matters worse, they haven't been deemed guilty at this point so they may be sitting in jail only to receive an innocent verdict! I'll add one more snippet that irks me; finding a defense lawyer to truly represent someone is a lot easier with money and the freedom of not being locked behind bars. It all doesn't seem just and equal, and that makes it political. All these realities and disparities make it political. Love for whom Jesus calls the "least of these" makes it political. Thousands of people in Illinois sleep in jail and prison tonight, apart from their families. Alone! Knowing this, I feel hopeless about how enormous all this is. I can’t help but weep and pray over this grave injustice and disparity. I know I am only touching the surface here. This issue is huge, Mass Incarceration accounts for over 2 million people behind bars right now, millions more who are on parole and probation and the millions on top of that who can’t find work or housing because their rap sheets reveal a past they’d rather forget. There are so many issues, from the torturous practice of solitary confinement to how city jails now house more people with mental illnesses than any other institutions. I could go on, but my purpose here isn’t to highlight every unfair and discriminatory detail in the prison industrial complex or the justice system, but in how it unjustly affects and discriminates against the people I love and work with. This is about how it’s become very political to me and how I should respond as a follower of Jesus. By working with those who are homeless, I can not escape seeing how the devastating effects of poverty, race, addiction, and mental illness has attributed to filling our jails. 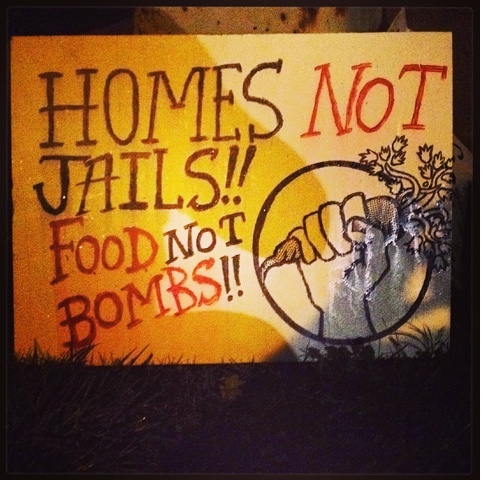 For over 20 years, I’ve witnessed the vast and traumatic world of how those who are homeless are being criminalized. They are living in a world where the systems don’t benefit them but are violently against them. When it comes to law enforcement, the results aren’t mere frustrations, nuisances or inconveniences, they aren't just mere statistics, but they're often torturous, enslaving and even deadly realities. In light of this, we can't sit by, we need to "let justice roll down like rivers and righteousness like an ever-flowing stream." To view it another way: imagine being questioned, cuffed, thrown in the back of squad car, held in a cell, made to stand in front of a Judge and then sentenced by someone who has been granted immense power over you. Imagine this happened, not because you did anything violent, but because you opened a can of beer on the street, smoked an illegal substance that impairs your judgment or you were just sleeping in the park after it closed. It's become political to me, because when these experiences happen we mustn't think of them as mere blips on a screen or nuisances, such events are traumatic and life changing! It's become political to me because I am saddened every day when I see the devastating effects of arrests and incarceration, (even from decades before), and how they prevent housing, employment and a ton of other opportunities. It's become political to me because I can't see how true justice and equality are being strived for, but rather, we sadly sit under a racist and classist system that is controlled by the mighty dollar and politics. When I see my poor neighbors being continually weighed down and enslaved by these burdens, it's depressing and political to me! In light of this, we can't sit by, we need to "let justice roll down like rivers and righteousness like an ever-flowing stream." The punishments do not fit the crimes! When we first opened our men's shelter in 2001, I saw some questionable things, one of the saddest and most memorable was when an elderly drunk man stumbled into our place. We knew him, it was winter, he needed shelter, but could barely stand. On this particular evening, he was so dangerously intoxicated that we thought it best to call 911 so he could be taken to a hospital. The police came, and with a horrible display of aggressive colorful language, they complained about having to deal with "drunken idiots" and took him away. Despite their attitudes, we thought it was all good. When the old man returned the next day, he told us how he didn't end up in a hospital, but how he was tossed in a pile of snow down by Montrose Harbor. We'd made a call for his survival, only to find out he'd been put in horrendous danger. I couldn't believe what I was in the middle of. Beth (my wife) was scared just outside the door. 9 of us were in a small enclosed room at CCO when the police officer snapped and sucker-punched this young man in the face. It was a totally unprovoked attack. All he did was swear at the officer and tell him he didn't want to leave, as he wanted to stay with and support his pregnant wife. He was complying with the cop's wishes and leaving when the officer punched him. That created a reaction which led to the officer pointing his gun at this man's face while he was on the floor. His pregnant young wife was petrified and lay in front of him, screaming "please don't kill him". We were all begging him to put that lethal weapon away and come to his senses! He had snapped! Thankfully, despite the utter chaos and terror of being stuck in a room with a power-hungry psychopath (for that moment at least), no one was murdered before us that day! A coworker called 911 to help a suicidal senior citizen. He wanted and we asked for the Crisis Intervention Team. The police came, but instead of treating him with dignity, the 2 officers came behind him, pulled his t-shirt over his head, pulled the chair out from under him and proceeded to drag him down the stairs. I didn't witness that, my coworker did and he told me, so I chased the officers to make sure George ended up in the hospital and not jail. Thankfully, despite the bullying and abuse of a sick old man, he ended up getting the help he needed! Kerry was standing by the Currency Exchange chatting with some friends, he pulled a beer out from his pocket and took a swig. Our alderman was across the street, so he called the police. This practice is promoted in my neighborhood: to call 911 on those committing minor offenses. I've actually seen this happen to Kerry twice, and both times I've walked up to him and let him know. He feels targeted and bullied by our alderman - a man who can use his power to influence those who wear the badge. I've known Kerry for many years, he's a gentle soul who struggles with his addictions and is very sick, and therefore keeps on being sent downstate in chains. When they do a "sting" in Uptown, it looks good politically, but they often don't end up locking up any drug kingpins, but non-violent addicts, who'd benefit far more from treatment and not incarceration. Thankfully, despite the harassment and bullying, is in treatment today and getting the help he desperately needs. This picture reveals more than I can write! This photo was taken in Uptown when they removed Tent City in 2017. These tents were filled with those most vulnerable; senior citizens, veterans, couples, people with disabilities and weakened immune systems. Yet, instead of being lifted up, they were subjected to the outright or subtle abuse of those strutting around with power. From riding their bikes on the sidewalk; to urinating behind a trashcan; to getting into a fight; or simply trying to sleep in a tent; they were constantly under threat of arrests, citations, intimidations and fines. Apart from that, they had to deal with biweekly street cleanings, where a whole host of city personnel (including the police) would make everyone move their tents. This cost the City a small fortune, while simultaneously traumatizing the already traumatized Tent City residents. 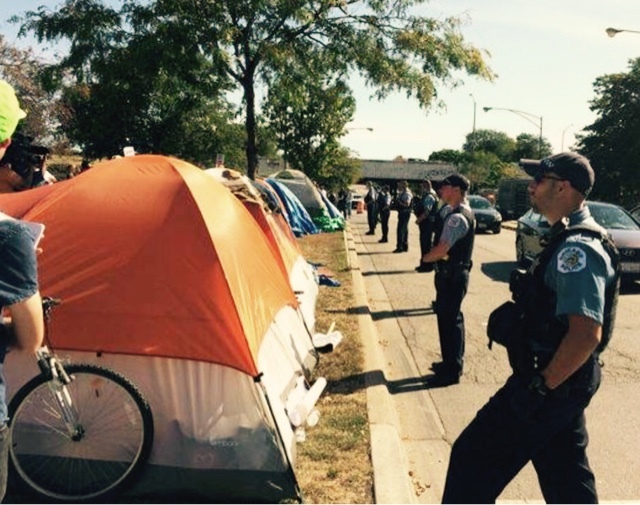 Those who stayed in Uptown Tent City were just trying to survive and get into permanent housing, but instead they found themselves being constantly criminalized for simply being poor and visible in a gentrifying ward. In other words, those with political pull and money, made what shouldn't have been political very political. Francis was arrested and held in jail for robbery. His bail was too high for him to afford ($250,000), so there he remained for almost 4 years. I write this to highlight how unfair and unjust it can be for someone as disabled, sick, and poor as this middle-aged man is! Francis had been brutally attacked a couple years before and we all thought he was dead. After discovering he was alive in an ICU, he had to go through intensive rehab for a terrible brain injury where he had to learn to talk and walk again! A few of us visited him and walked with him through that journey. Months later, he ended staying with us at CCO again, where he could barely walk without falling, talk without stumbling and his memory was shot! There's a lot in this story that speaks of how society failed him, like how could he end up homeless again after such trauma? But my focus is how one December day he left CCO only to wind up incarcerated in Cook County Jail. He apparently robbed somebody. The questions saturated Uptown; how could a man so weak and fragile, a man most people could push over with their little finger, a man that could barely enunciate words, mug someone? A few of his friends did a little time during his stint, if they ended up in the same Division as him they looked out for him, but returned with no answers! What did he do? Did he do anything? After nearly 4 years, Francis was released and ended up in a Nursing Home where he looks even more fragile. Due to his confusion and lack of memory, he doesn't know who I am, and none of us know (including Francis himself) if he was convicted (time considered served) or deemed innocent after all that time. One thing we all know is this; such a sick fragile man should have never been locked in a cage. There's another thing we know, many more Francis's sit in jails right now and such cases make what shouldn't be political, political. The punishments do not fit the crimes, and sometimes there ain't even crimes! I need to clarify something before I move on. In the midst of all those power-tripping, the systemic racism and the blatant discrimination, there have been lights shining in the darkness. Johnny was at risk of freezing to death or getting hypothermia when an officer picked him up from under the Lawrence viaduct and took him to CCO. It was a particularly frigid night, and he was laying there without many clothes and a blanket. This played a minor (yet important) role in helping him get housed, where he remains to this day. This same officer often brought people in need to us at CCO. He told me how one day he tried to buy food for a wheelchair-bound homeless man. The store had barred this man before, and because of the officer's insistence to help this sick man, he was reported and had to meet with our Ward's leader. This officer actually got in trouble for being compassionate and kind! Another officer shared with me how he was yelled at and accused by a wealthy neighbor of putting a bandaid on a gaping wound. One man took a flower out of his flower box and another was drunk, wandering in the middle of the street. When asked, the intoxicated man complied and went to the sidewalk. This neighbor was an owner of a local cafe and he wanted these 2 poor fellas arrested and locked up. This visual shows the hatred some of our neighbors have for our other poorer neighbors. Blatant discrimination based on one's race and economic status is found on every corner. Injustice and unrighteousness are reigning supreme in our Ward, making what shouldn't be political, political. This is why we can't sit back, we need to "let justice roll down like rivers and righteousness like an ever-flowing stream." For anyone who works with those experiencing homelessness, it's a struggle every single day! It's a battle, especially in places like Uptown, because we actively see the "powers-that-be" criminalizing the poor in their efforts to gentrify. We try to help people go from homelessness to housed, or unemployed to employed, yet they face overwhelming odds and discrimination because of their rap sheets! They can't live in Uptown, (where they want to stay), not only because of cost, but because of all the restrictions landlords put on their applications. Not only that, many use the Internet to post people's mugshots to contrast the "good guys" from the "bad guys", generating fear of the other. All these efforts are politically driven to kick those already down. I believe we are called not to ignore such corruption and bias, but fight for and assist those who are getting stomped on! Our call as followers of Jesus is to be light in the darkness, to "let justice roll down like rivers and righteousness like an ever-flowing stream." Those caught in this web of oppression and rejection, need others to rise up, speak up and love them in ways they can realize they're loved and accepted. Those with privilege need to use their status, not to oppress, but to lift up! Even though Jesus and his disciples were victims of the Empire, they all brought redemption into their hostile surroundings. Jesus brought a peaceful revolutionary Kingdom that turned everything upside down, where it lovingly resisted the violence of their oppressive kingdom. His Kingdom is where the "first shall be last, and the last, first", the "poor are blessed", and "those who mourn shall be comforted". Even though we will be and are victims of the State, we need to bring this same redemption and hope into the volatility and evil that encapsulates the weak and suffering. We need to bring the Hope of the Resurrection to those around us. We live in a country that loves to lock people up (far more any other country in the world). We are surrounded by the lifelong victims of mass incarceration. We need to bring light into this darkness. As they cry "throw away the key", we need to bring compassion. As they cry for revenge and retaliation, we need to bring forgiveness. As they cry for doom and despair, we need to bring Resurrection Hope. As they cry for hatred and judgment, we need to bring Kingdom Love. "Remember those in prison, as if you were there yourself. Remember also those being mistreated, as if you felt their pain in your own bodies." It's Political: My Own Self-Realization! It's Political: The Punishments Do Not Fit The Crimes! (this one) How I've seen people arrested, convicted and criminalized more for their status in society, rather than committing heinous crimes. Also about how the Justice system works against those who are homeless and without money. It's Political: Building Up and Casting Out! How more and more places for those who are poor are being shut down and turned into housing for the wealthy. How when these places are closed, they often end up homeless and can't afford to love in the neighborhood they consider their community.